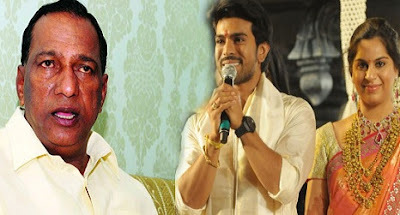 Malla Reddy, Malkajgiri MP on TDP ticket and founder of many educational institutions in Telangana (Mallareddy group of institutions) made a controversial speech addressing to a gathering of college guys. Taking the examples Aishwarya Rai Bachan, Sonia Gandhi and Tollywood mega hero Ram Charan, he gave love lessons to youth how and when to fall in love. Malla Reddy advises to youth, like Aishwarya Rai Bachan chose an illustrious Amitabh Bachan family, Sonia Gandhi chose Gandhi family and Ram Charan chose the granddaughter of Apollo Hospitals’ Pratap Reddy, you have to target big birds to love and settle in life and strongly advises them not to choose any roadside people and get into murkiness. He also advises the youth to wait for 30 years and then in fall in love with a guy or girl from an illustrious family and that would settle one’s life. The example of Sonia Gandhi is relevant. But Aish earned popularity because of her stardom and Ram Charan himself comes from an illustrious family in TFI. He refers to Ram Charan as ‘Mana Ram Charan’ and says he trapped a big bird and settled in life. No one would expect such advice from a person who is considered a renowned educationist, the founder of many educational institutions which impart higher education and professional courses.